STAY A LITTLE LONGER AND CHECK OUT THESE AMAZING EXPERIENCES. 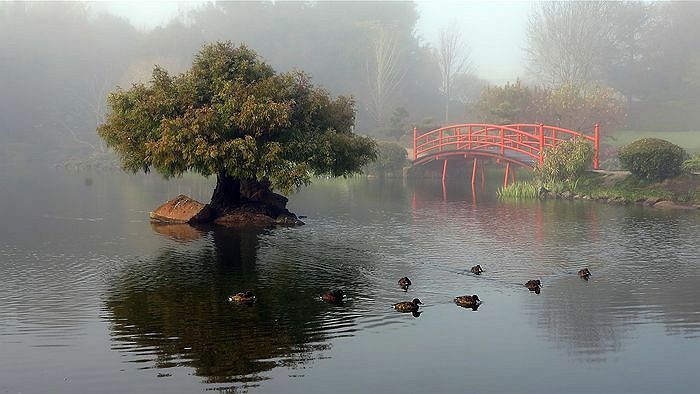 The Toowoomba Japanese Gardens are renowned for their stunning representation of traditional Japanese landscape design. The park called “Ju Raku En”, Japanese for “enjoying peace and longevity in a public place”, is a must-see garden destination with over 100,000 visitors each year coming to take in the award winning gardens. The feeding of the wildlife is discouraged and dogs are not permitted. Open daily from 6:00am to Dusk, with the entry gates locked around these times. A stroll through the State Heritage listed Queens Park and Botanic Gardens is an absolute must for any visitor to the Garden City. Set across more than 25 picturesque hectares, the parkland has been enjoyed by generations of locals and regional visitors since it first opened to the public in the late 1800s. It’s a beautiful calm space where nature showcases its seasonal offerings, alongside the city’s bustling CBD. 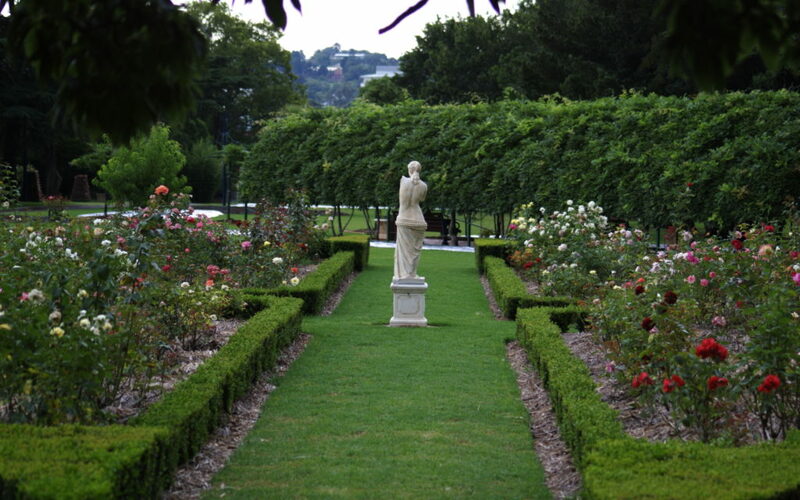 Laurel Bank Park is one of Toowoomba’s premier parks and provides a majestic oasis close to the heart of town. 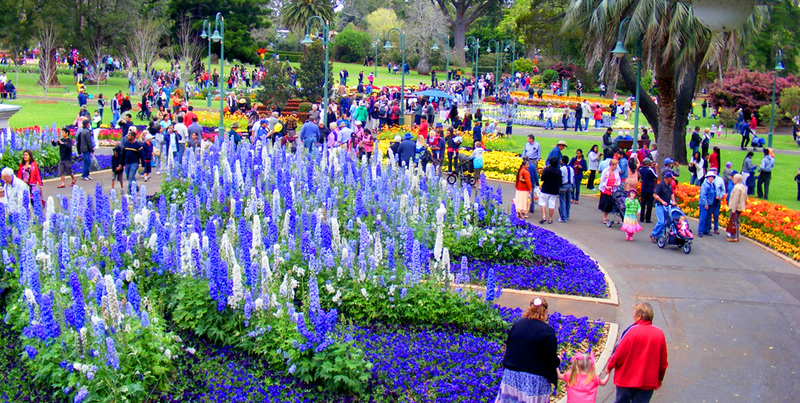 The park features manicured gardens, mature trees, children’s play equipment, barbecue and picnic areas and two croquet lawns and is a must-see destination during the Toowoomba Carnival of Flowers in spring, when the gardens come alive with colour. Picnic Point is situated about 700 metres above sea level and offers visitors superb views east over the Lockyer Valley. 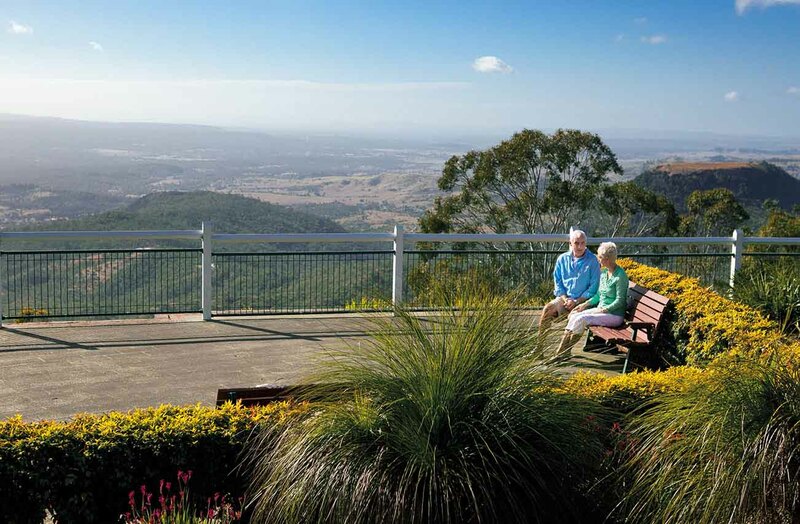 With a history spanning over 140 years, Picnic Point is one of the largest parklands in Toowoomba and in the past offered visitors cans of fresh mountain air, the camera obscura, and Peters ice creams at the Picnic Point kiosk which has evolved into a busy contemporary restaurant, cafe and function centre. The cafe trades 7 days a week. 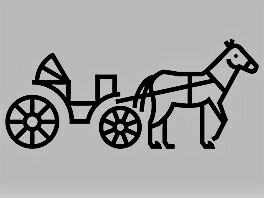 The largest collection of horse drawn vehicles in Australia. Less than 30 minutes from Toowoomba is the Oakey Army Aviation Museum. 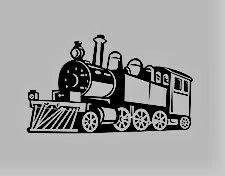 Downs Steam in Toowoomba is a functioning Historical Tourist Railway and Museum. The oldest and largest wood slab woolshed in the world. 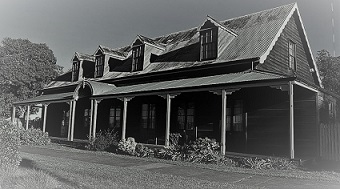 This National Trust Building was the first building in the region in 1847. Step inside and see rooms that feel as though they are occupied by the original inhabitants. Gummingurru is an Aboriginal Bora. Before Europeans arrived it was where Aboriginal people would meet their friends, have ceremonies, dance and sing. Explore the City and the region. 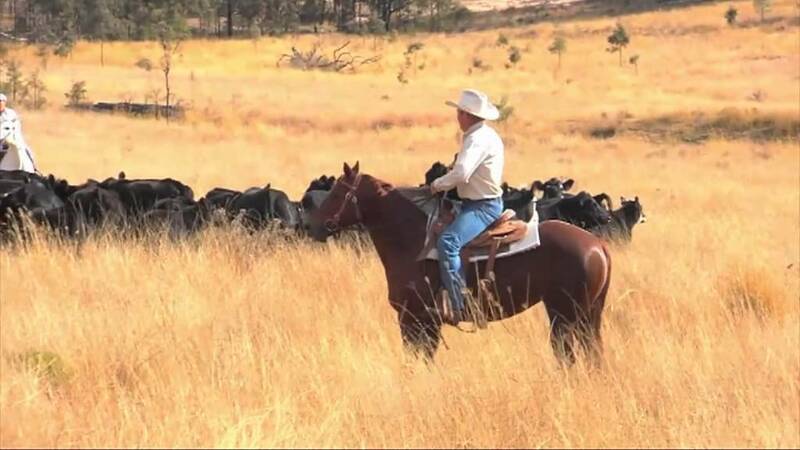 Your hosts Peter and Gill Gould own and operate this working cattle property at Emu Creek one hour north of Toowoomba. They are very accomplished in the Quarter Horse Industry and regularly hire horses to motion picture producers and for TV commercials. They cater for people of all horse riding ability and have a number of good-natured Quarter horses. Using big comfortable western saddles you can be assured of a relaxing ride through picturesque country where wallabies, wild deer and native bird life thrive. Discover towering trees, palm groves, trickling streams and amazing birdlife in the best remaining example of the rainforest that originally covered this part of the Great Dividing Range. 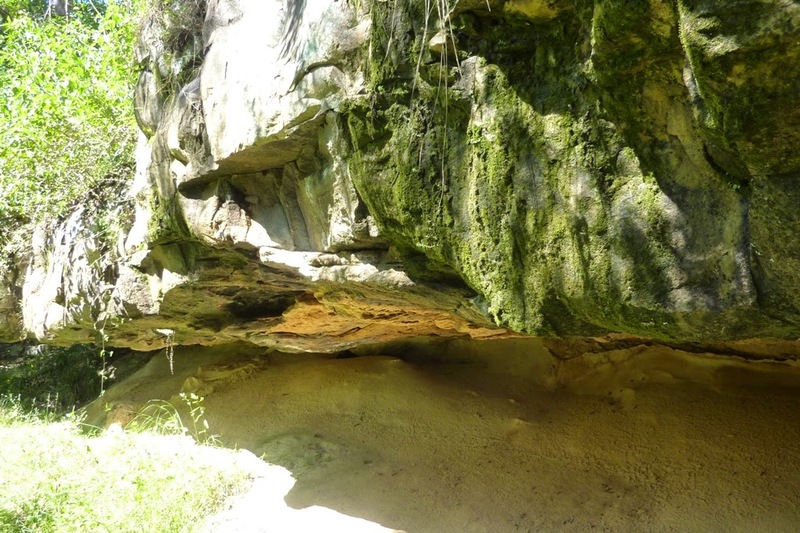 Local Aboriginal people and those travelling to the bunya feasts in the Bunya Mountains used the area extensively. Rainforest hardwoods, red cedar Toona ciliata and other timbers were felled from about the 1860s. 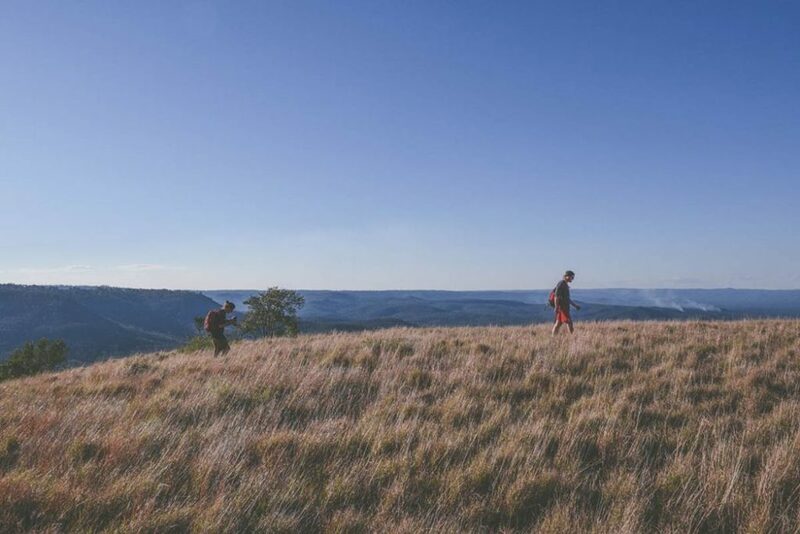 It’s Australia’s second largest inland city, but for most weekend-goers in search of new adventures, a 48-hour jaunt to Toowoomba isn’t high on the priority list. Well, maybe it should be, because not only is it easily accessible from Brisbane being under two hours west, but this country charmer boasts the perfect mix of leisure and great outdoors with a foodie scene that’s surprisingly out of this world. Intrigued? Here’s how to make the most out of a weekend in Toowoomba. Milne Bay Aquatic and Fitness Centre offers a range of activities and classes in the pool and gym. Facilities include, 50-metre outdoor lap pool, 25-metre heated indoor lap pool, fully equipped gymnasium, group fitness rooms and personal fitness instruction. The Empire Theatre is the largest performing arts precinct in regional Australia. Renowned for its classic art deco architecture, the heritage listed theatre is one of the jewels of the Darling Downs. In addition to an eclectic performing arts program, The Empire Theatre is also available as an event space . Since 2009 the City Golf Club has hosted the prestigious Qld PGA Championships drawing hundreds of professional golfers to the community bringing both tourism and growth to the region. The award winning Club recently won Best Sports Club Qld (Large), and the Best Entertainment Venue Qld. Sauce is only 300 metres from Vacy Hall. Organise a group or join one of Sauce’s small groups to experience hands on cooking classes from bread and cheese making to three course dining. This is a wonderful idea for team building, Christmas parties, birthdays, or hens nights. 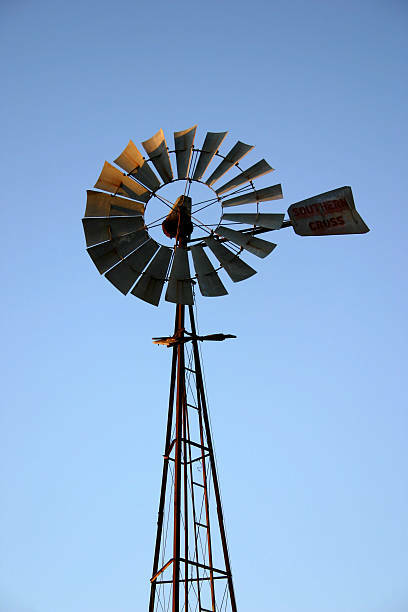 Toowoomba is Queensland largest inland city and offers visitors a wide array of events to cater for all interests. Toowoomba Regional Council maintains a searchable database of events. This panel links to the regional event listing. Working with students, professional artists and industry, USQ Artworx creates an annual season of high quality, engaging and entertaining artistic experiences and events from their location on campus at the University of Southern Queensland. Great shows, great performances, and a wide range of excellent classes for artists of all levels.